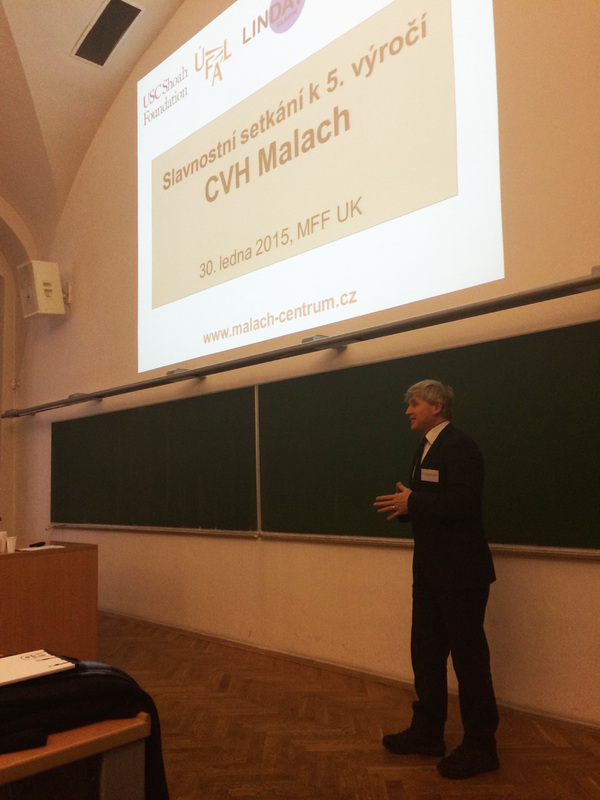 The Malach Center for Visual History at Charles University in Prague marked its fifth year as a full access site of the Visual History Archive with a conference that brought together local dignitaries, scholars, and students. 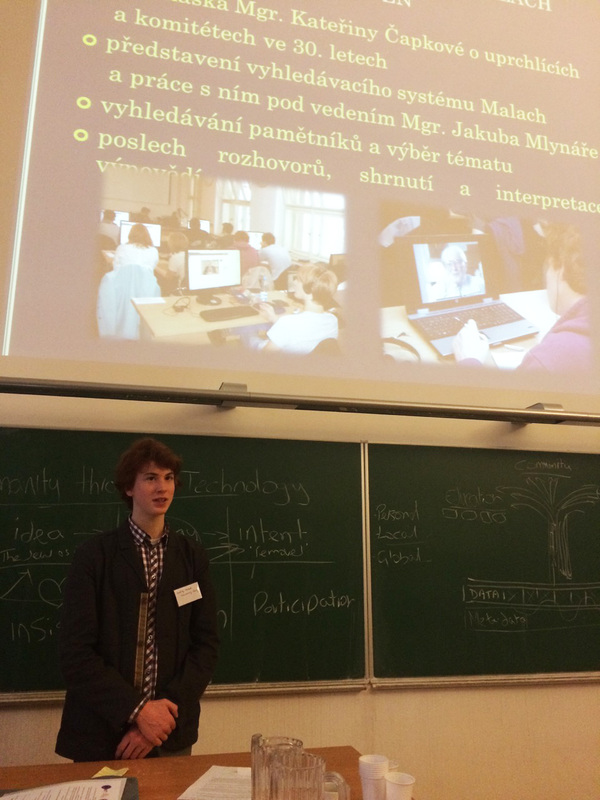 The event, held last Friday, Jan. 30, was organized by the Center for Formal and Applied Linguistics at the Faculty of Mathematics and Physics at Charles University. The Malach Center for Visual History has computer workstations where visitors, scholars and students can view the Visual History Archive as well as the Refugee Voices Archive and interviews from the Museum of Romani Culture. The Center is curated by Jakub Mlynar, professor of sociology and 2013 teaching fellow at USC Shoah Foundation. 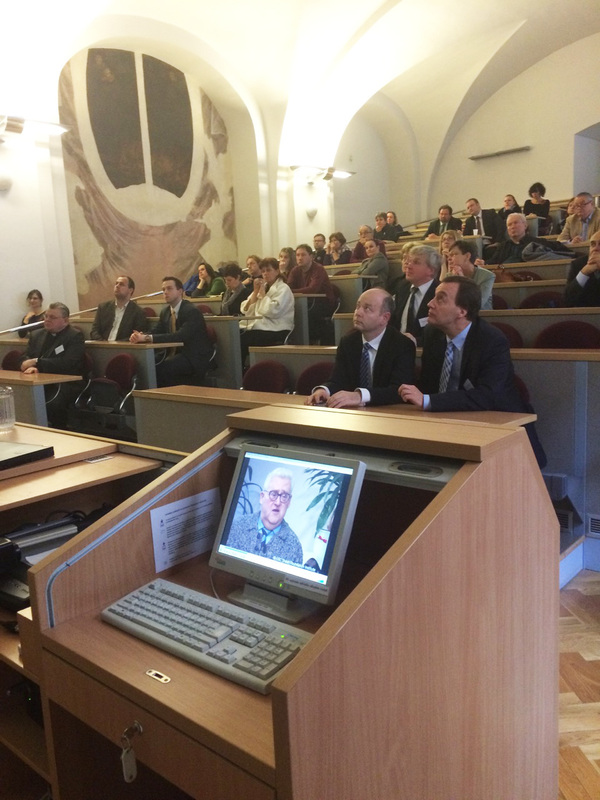 Throughout the daylong event, speakers discussed how they have used the Visual History Archive and its virtues, as well as how it may be used in the future. Speakers included Jan Trlifaj, associate dean of the faculty of mathematics and physics, Archbishop Dominik Duka, Malach Center manager James Miller, and Professor Jan Hajic, who spoke about the Amalach project, which is developing a system for automated translation of the archive into Czech. 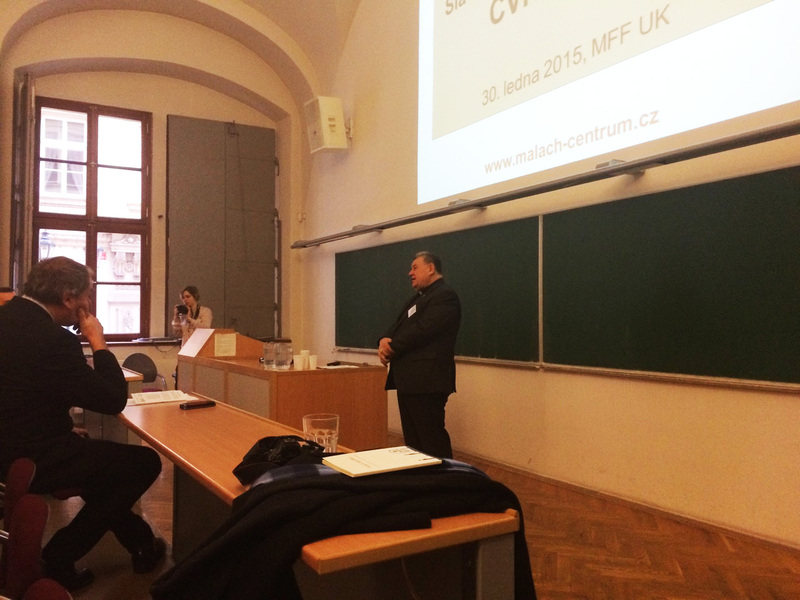 Martin Smok, USC Shoah Foundation senior international training consultant, gave an overview of USC Shoah Foundation’s work in Czech Republic in 2014. 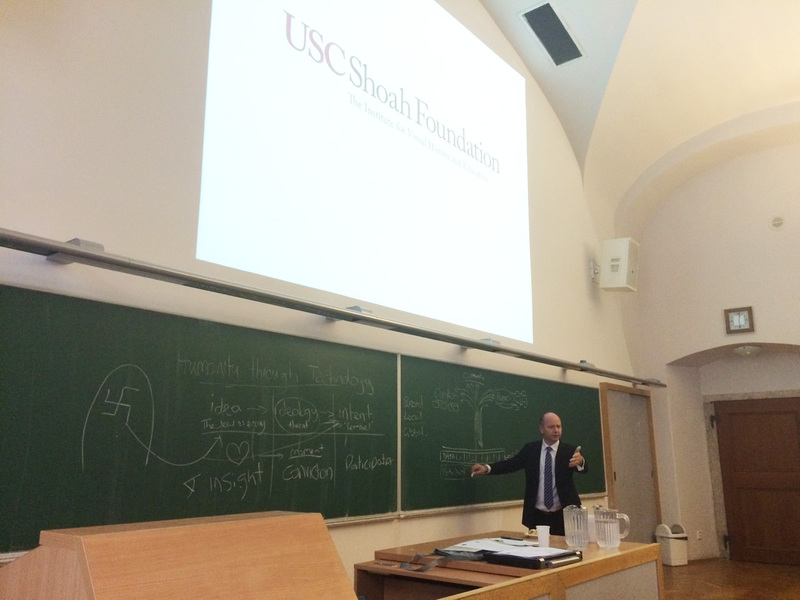 USC Shoah Foundation Executive Director Stephen Smith gave the keynote address, “Humanity Through Technology,” which addressed the intersection of technology, literacy and genocide prevention at USC Shoah Foundation. The attendees also watched a testimony clip reel of survivors singing pre-war and World War II songs. The conference also included a number of local students and teachers who have used testimony in class. 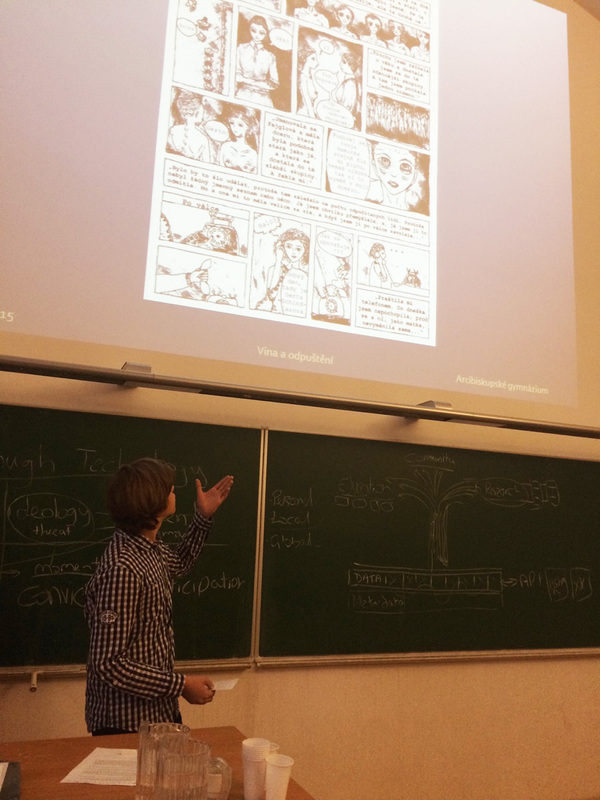 Last year Mlynar organized a cartoon contest among local students, who drew comics based on testimony, and the winners of the contest were announced at the conference. 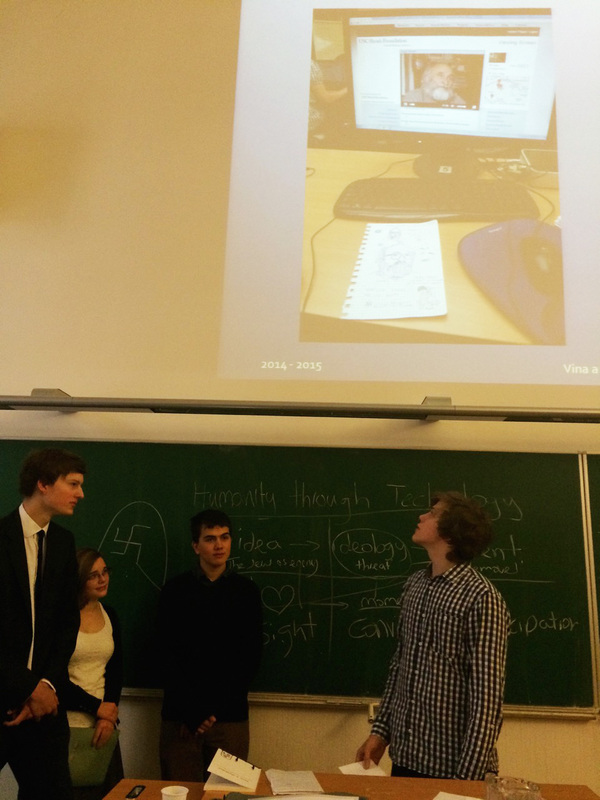 Students from Archbishop Gymnazium presented their projects which probed the themes of guilt and forgiveness in testimony, and students from the Lauder School discussed their experiences conducting research in the Visual History Archive.